WASHINGTON – Today seven northeastern states’ departments of transportation became the first in 2016 to claim awards in a national competition highlighting excellence in construction projects that improve travel safety, reduce roadway congestion and provide more mobility options. Now in its ninth year, that competition – which is sponsored by the American Association of State Highway and Transportation Officials, the AAA motor club and the U.S. Chamber of Commerce – recognizes the best transportation projects in the categories of Quality of Life/Community Development, Best Use of Innovation, and Under Budget. Transportation projects that were completed in 2015 were eligible to be entered into the competition. All nominations are judged by officials representing diverse industries within the transportation sector. “America’s Transportation Awards showcase the outstanding transportation projects that improve travel and quality of life in the United States,” said Paul Trombino, AASHTO’s president and director of the Iowa DOT. “Through these awards, we recognize state DOTs for their diligent efforts and highlight how their work helps improve the quality of life and economic prosperity across the country,” Trombino added. A total of 40 state DOTs participated in this year’s competition, submitting a record number of 84 award nominations. For just the NASTO regional competition, 10 DOTs entered 21 transportation projects for consideration. Three state DOTs took awards in the Quality of Life/Community Development category. The New Jersey DOT won in the large project competition ($200 million and up) for its work to replace the deteriorating bridge along Route 3 over the Passaic River, north of Lyndhurst. The Massachusetts DOT’s Kenneth F. Burns Memorial Bridge Replacement Project between Shrewsbury and Worcester took top honors in the medium project group ($26 million-$199 million). The Maine DOT’s project to expand Portland’s International Marine Terminal won in the small project group, which is for projects costing less than $25 million. In the Best Use of Innovation category, NASTO named three winners. The Connecticut DOT won for large project as it replaced its Pearl Harbor Memorial Bridge in New Haven. New Hampshire DOT’s rebuilding of I-93 near Windham won for a medium-sized project. The New York State DOT won for a small-sized project that replaced bridges and improved the ramp at Exit 4 off Interstate 87 near the Town of Colonie. The competition presented one northeastern prize in the Under Budget category, to the Maryland DOT for its safety improvements and resurfacing project on MD 210 from MD 373 to Farmington Road in Accokeek. Winners in the three remaining regions will be announced at their meetings this summer. Then, the 10 projects with the highest overall scores will compete for a National Grand Prize to be determined by a panel of transportation experts and a People’s Choice Award for the project receiving the most online public votes. 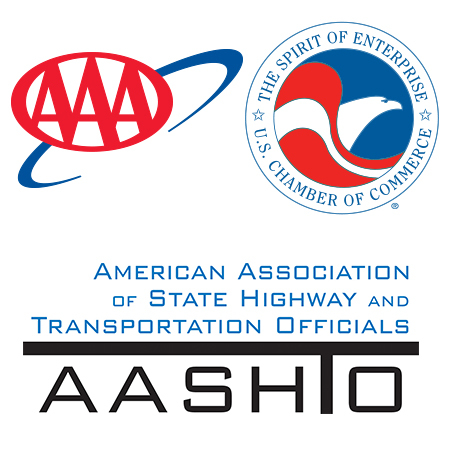 AASHTO will announce the Top 10 finalists during the last week in September. Online voting for the People’s Choice Award will be Oct. 1 – 30. Winners of both national awards will be announced at the AASHTO Annual Meeting in Boston in November. Each winning State DOT will also receive a $10,000 check for donation to a charity or scholarship program of their choice.